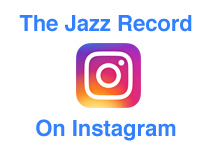 Exploring vintage jazz vinyl with a focus on label and pressing details, discographical information and critical musings on the music found within the grooves. Balanced Beauty: John Coltrane Quartet - "Ballads"
A beautiful 1963 album by the classic Coltrane Quartet that has garnered some controversy over the years, but in the end has proven to be an essential part of his long and varied discography. Get new post updates sent right to your inbox. We would never share your info with anyone. One more step! You will receive an email to confirm your subscription. Thanks for reading! A Fitting Finale: Jackie McLean - "Demon's Dance"
Leading His Own Way: Booker Ervin - "The Freedom Book"
A Sense Of Purpose: Larry Young - "Unity"
A New Thing: Doug Carn - "Infant Eyes"